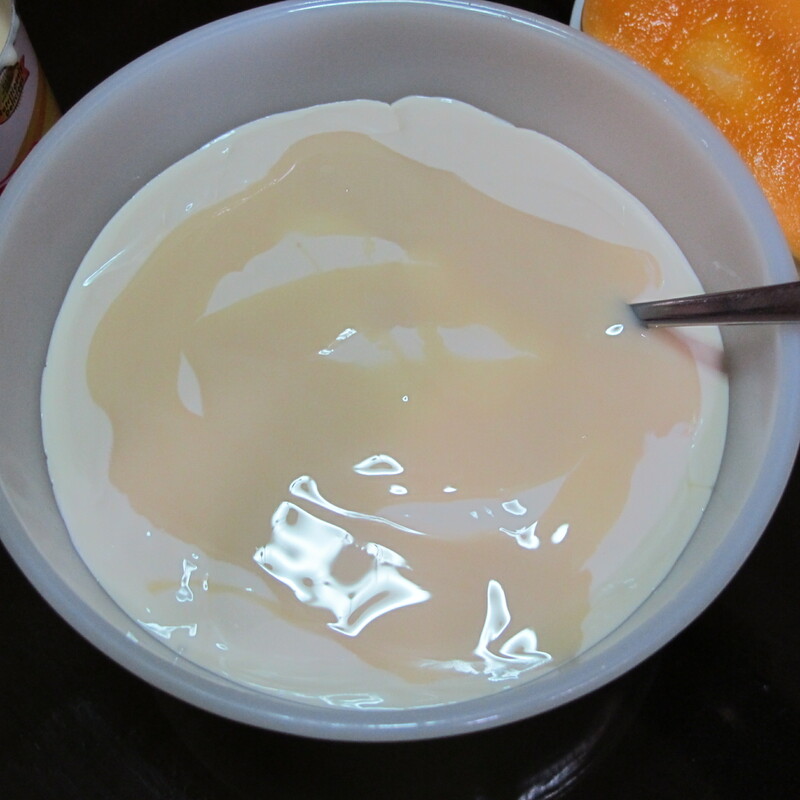 Mix the all purpose cream together with the condense milk. Layering. 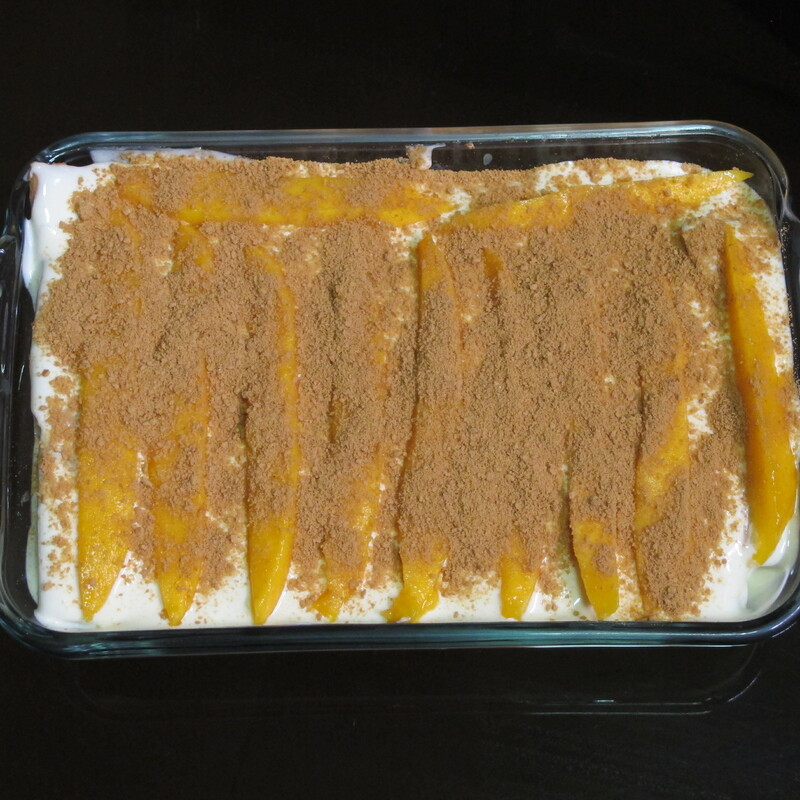 1st layer the graham crackers in your preferred container (a rectangle would be your best bet since it’s the shape of the cracker) , then pour in just the right amount of your creamy mixture, then top it off with sliced mangoes. Do this repetitively until it’s filled to the brim. 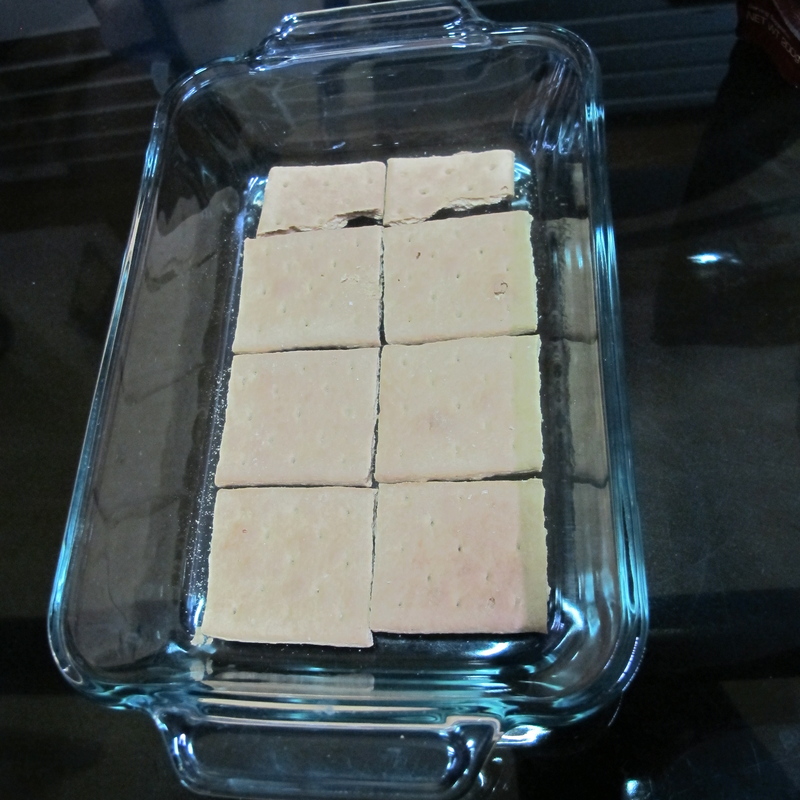 Sprinkle crushed grahams on the last layer and cover it up w/a cling wrap, then let it chill. 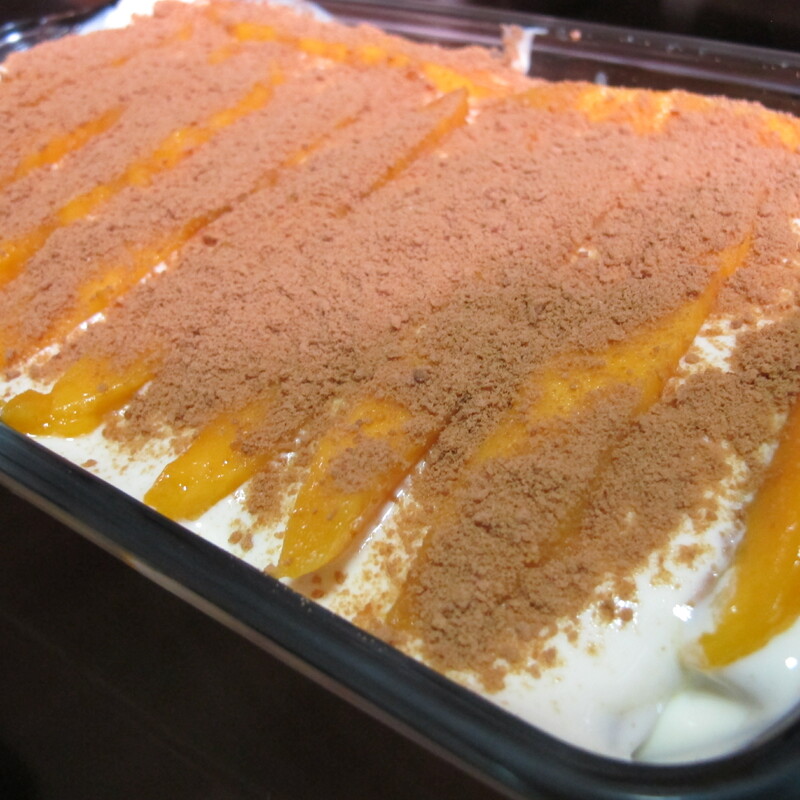 There you have it, my version of Mango Float. So far my family have no complains about it, heehee. Oh if you’ve noticed, I have not given any exact measurement for any ingredients? That’s because I measure flavors based on my palette. 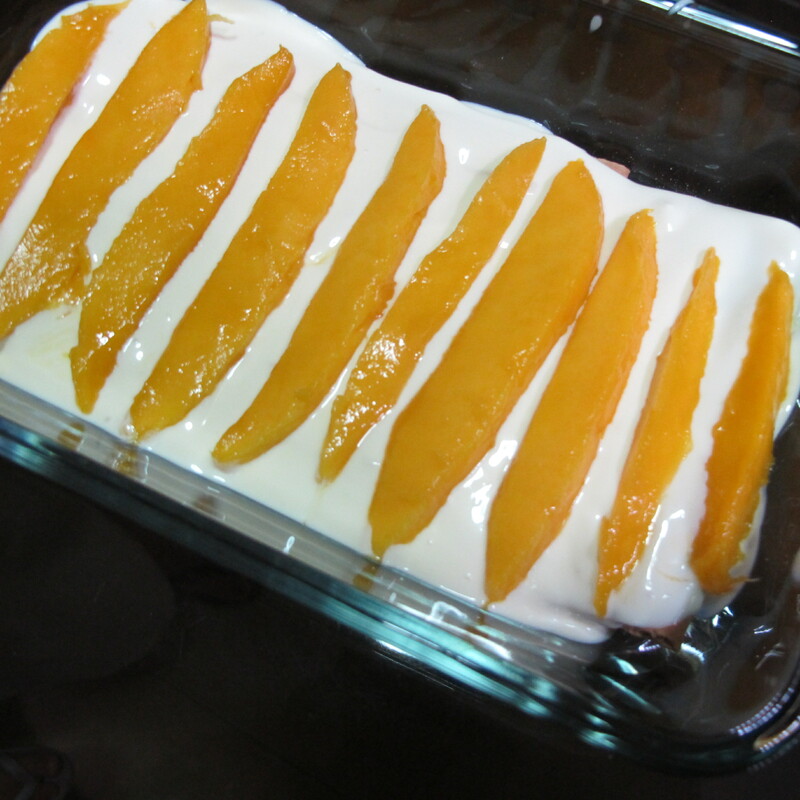 But if you want to know the more accurate recipe. Go visit M.Y. 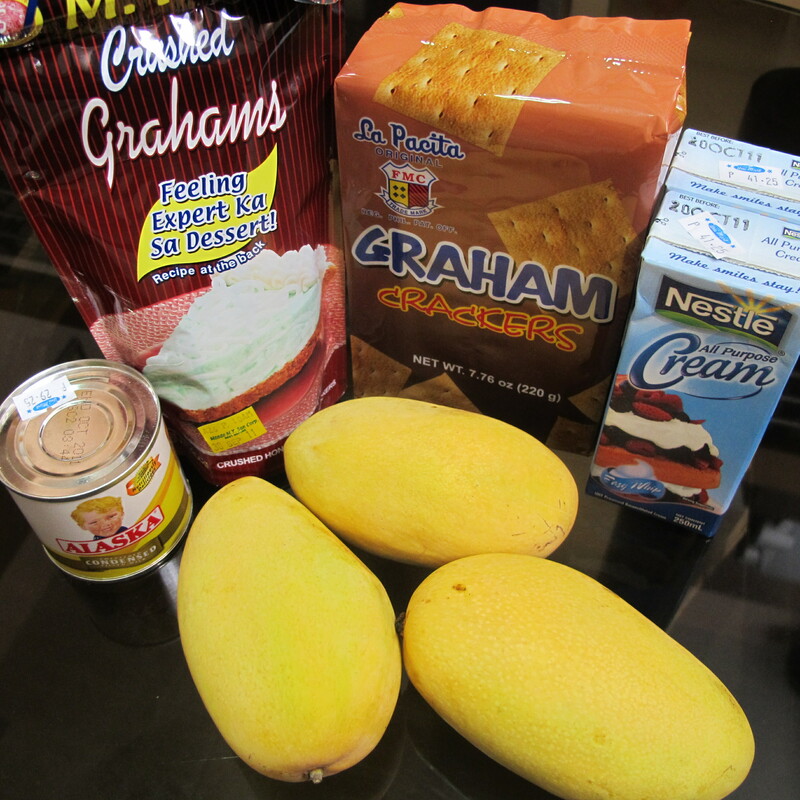 San Grahams website for more details and other yummy recipes, planning on trying their other yummy desserts soon! I went to the Philippines for the first time last summer and made this with my cousin. It’s DELICIOUS. I want to try and make it for my mom but how much condensed milk and how much creamer do you use?